Fyodor Dostoyevsky, Crime and Punishment, trans. David McDuff (London: Penguin Books, 2003). When Fyodor Dostoyevsky (1821-1881) showed the unpublished manuscript of his first novel, Poor Folk (1846), to his friends Grigorovich and Nekrasov they wept at the simple beauty of his characters before running to his house at four o’clock in the morning to congratulate him. Nekrasov immediately took it to the most famous literary critic in Russia, Vissarion Belinsky (1811-1848), who wrapped himself up in it for two days, overwhelmed by the novel that he said revealed “such secrets of life and characters in Russia as no one before him ever dreamed of.” Dostoeyvsky’s writing only got better from then on. His novels reveal a deep empathy for the poor, the shunned, and the mentally ill because in them he saw Christ. 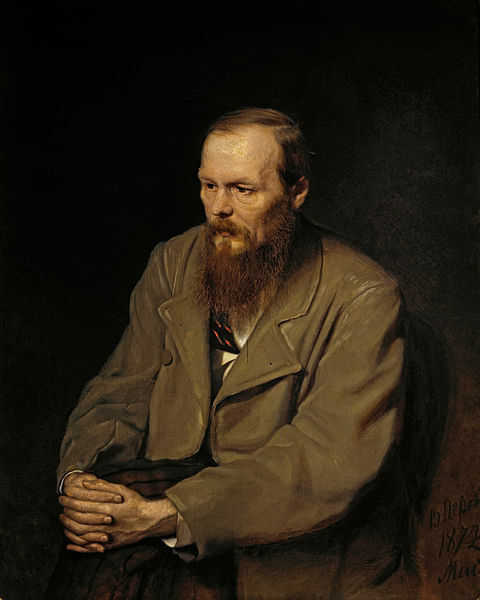 Before he was arrested in 1849 for reading Beinsky’s “Letter to Gogol” to a group of friends, Dostoyevsky was an ardent follower of utopian socialist causes, which by the early 1860s had taken on quasi-religious significance for educated young people in Russia. His time as a political prisoner in Siberia cured him of his faith in the people and in humanity’s ability to solve its own problems. In Dostoyevksy’s novel Crime and Punishment (1866) the main character Rodion Raskolnikov claims that “man holds the remedy in his own hands, and lets everything go its own way, simply through cowardice.” Raskolnikov is a student who has read too much philosophy and lets it go to his head. Influenced by Max Stirner (1806-1856) and Napoleon III (1808-1873), Raskolnikov argues that “men are divided into ordinary and extraordinary men. The former must live in a state of obedience, and have no right to break the law, inasmuch as they are nothing more than ordinary men; the latter have a right to commit every kind of crime and to break every law, from the very fact that they are extraordinary men.” Raskolnikov decides to test this theory and become an “extraordinary man” by murdering an old woman just for the sake of committing murder. But the guilt of his crime weighs him down and almost drives him insane. For me the turning point of the novel comes when, after much badgering, Raskolnikov asks Sonya to read him the story of Lazarus. The gospel story comes alive under Dostoyevsky’s pen, letting the reader see it as if for the first time. Sonya and Raskolnikov read it differently but it cuts both of them like a double-edged sword. Sonia opened the book and found the place. Her hands were shaking, her voice failed her. Twice she tried to begin and could not bring out the first syllable. “Now a certain man was sick named Lazarus of Bethany…” she forced herself at last to read, but at the third word her voice broke like an overstrained string. There was a catch in her breath. “And many of the Jews came to Martha and Mary to comfort them concerning their brother. “Then Martha as soon as she heard that Jesus was coming went and met Him: but Mary sat still in the house. “Then said Martha unto Jesus, Lord, if Thou hadst been here, my brother had not died. Then she stopped again with a shamefaced feeling that her voice would quiver and break again. “Jesus said unto her, thy brother shall rise again. “Martha saith unto Him, I know that he shall rise again in the resurrection, at the last day. “Jesus said unto her, I am the resurrection and the life: he that believeth in Me though he were dead, yet shall he live. “And whosoever liveth and believeth in Me shall never die. Believest thou this? She stopped and looked up quickly at him, but controlling herself went on reading. 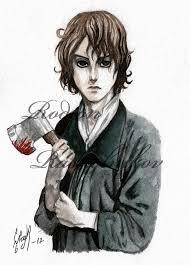 Raskolnikov sat without moving, his elbows on the table and his eyes turned away. She read to the thirty-second verse. “Then when Mary was come where Jesus was and saw Him, she fell down at His feet, saying unto Him, Lord if Thou hadst been here, my brother had not died. “And said, Where have ye laid him? They said unto Him, Lord, come and see. “Then said the Jews, behold how He loved him! Raskolnikov turned and looked at her with emotion. Yes, he had known it! She was trembling in a real physical fever. He had expected it. She was getting near the story of the greatest miracle and a feeling of immense triumph came over her. Her voice rang out like a bell; triumph and joy gave it power. The lines danced before her eyes, but she knew what she was reading by heart. At the last verse “Could not this Man which opened the eyes of the blind…” dropping her voice she passionately reproduced the doubt, the reproach and censure of the blind disbelieving Jews, who in another moment would fall at His feet as though struck by thunder, sobbing and believing…. “And he, he—too, is blinded and unbelieving, he, too, will hear, he, too, will believe, yes, yes! At once, now,” was what she was dreaming, and she was quivering with happy anticipation. She laid emphasis on the word four. “Jesus saith unto her, Said I not unto thee that if thou wouldest believe, thou shouldest see the glory of God? “Then they took away the stone from the place where the dead was laid. And Jesus lifted up His eyes and said, Father, I thank Thee that Thou hast heard Me. “And I knew that Thou hearest Me always; but because of the people which stand by I said it, that they may believe that Thou hast sent Me. “And when He thus had spoken, He cried with a loud voice, Lazarus, come forth. “Bound hand and foot with graveclothes; and his face was bound about with a napkin. Jesus saith unto them, Loose him and let him go. She could read no more, closed the book and got up from her chair quickly. “That is all about the raising of Lazarus,” she whispered severely and abruptly, and turning away she stood motionless, not daring to raise her eyes to him. She still trembled feverishly. The candle-end was flickering out in the battered candlestick, dimly lighting up in the poverty-stricken room the murderer and the harlot who had so strangely been reading together the eternal book. …And prose like that, my friends, is why you should read some Dostoyevsky this Easter.